The odds are high for drug candidates succeeding in clinical trials and winning regulatory approvals. Just how high was shown last year in a report on clinical drug development success rates by the Biotechnology Innovation Organization (BIO). BIO found the overall likelihood of approval (LOA) for all drug candidates that make it to Phase I was 9.6%—a figure that rises to 11.9% for all indications outside of oncology. Indeed, oncology had the lowest LOA (5.1%) among 14 major disease areas; the highest was hematology at 26.1%. BIO based its results on 9,985 clinical and regulatory phase transitions recorded and analyzed from 7,455 development programs, across 1,103 companies in the Biomedtracker database from 2006–2015. High as the odds are for success, the cost of clinical failure is even higher. Pfizer spent a reported $800 million-plus a decade ago to develop the cholesteryl ester transfer protein inhibitor torcetrapib before a failed Phase III trial prompted the Pharma giant to change course. More recently, published reports have used a cost estimate of $1.4 billion—a figure derived from the $1.395 billion in average out-of-pocket costs incurred by drug developers as estimated in 2014 by the Tufts Center for the Study of Drug Development, which also counted $1.163 billion in expected returns that investors forego while a drug is in development. Below is GEN’s list of 25 clinical failures reported during the first quarter of this year. As with GEN’s list of 2016’s top “Unlucky 13” trial failures, drug candidates are listed in alphabetical order, along with their sponsor(s), the indication in which the failure occurred, the type of drug, how the drug failed its trial(s), and the date(s) of failure-related announcements. Not listed are failures for drugs that are already marketed and being developed for additional indications. How drug failed: Did not meet its primary endpoint in the Phase III NOURISH AD trial in mild-to-moderate Alzheimer’s disease. AC-1204 did not show a statistically significant difference at 26 weeks compared with patients treated with placebo, as measured by the Alzheimer’s Disease Assessment Scale-Cognitive Subscale test (ADAS-Cog). How drug failed: Did not meet its primary endpoint in the Phase II SAGA trial assessing the treatment in adolescents age 12–17 with mGluR+ ADHD. AEVI-001 did not show statistically significant reduction compared to placebo in ADHD symptoms as measured by the ADHD Rating Scale (ADHD-RS). How drug failed: Did not meet its primary endpoint in a Phase IIa study in adults challenged intranasally with RSV. The study randomized three cohorts of 20 healthy adults who received either 400 mg BTA585, 600 mg BTA585, or placebo dosed twice a day for seven days. Primary endpoint was viral load from first dose of study drug through day 12 measured by area under the curve. How drug failed: Did not show sufficient efficacy to justify further development of the tested topical formulations in the Phase II RADIANT trial comparing CD101 to fluconazole. The trial enrolled 125 patients into three cohorts—one of 50 patients treated with CD101 Gel; a second cohort of 50 patients treated with CD101 Ointment; and a third cohort of 25 patients treated with oral fluconazole. The gel and ointment topical formulations were similar in efficacy, but lower in clinical and mycological cure rates compared to oral fluconazole. How drug failed: Did not meet primary efficacy endpoint in Part B of the MoveDMD® trial, which assessed the effects of edasalonexent using MRI T2 as a biomarker at 12 weeks. The primary efficacy endpoint was average change from baseline to week 12 in the MRI T2 composite measure of lower leg muscles for the pooled edasalonexent treatment groups of 67 mg/kg/day and 100 mg/kg/day, compared to placebo. Type of drug: Bispecific monoclonal antibody designed to bring together factors IXa and X. How drug failed: Roche disclosed the death of a patient with hemophilia in the Phase III HAVEN 1 trial, assessing emicizumab in people 12+ years of age with hemophilia A and factor VIII inhibitors. In a statement posted on the website of the European Haemophilia Consortium, Roche said it received two reports of serious adverse events concerning a patient who experienced a serious rectal hemorrhage and received bypassing agents, including repeated doses of activated prothrombin complex, after which the patient developed signs of thrombotic microangiopathy. How drug failed: Did not meet the primary endpoint in the Phase III STARBEAM and STARBRIGHT trials assessing idalopirdine in patients with mild-moderate Alzheimer’s disease, measured by reduction in the Alzheimer’s Disease Assessment Scale-cognitive subscale (ADAS-cog) total score. STARBEAM was designed to examine idalopirdine as adjunctive therapy to donepezil in patients with mild-to-moderate Alzheimer’s disease. STARBRIGHT was designed to investigate idalopirdine as an adjunctive therapy to acetylcholinesterase inhibitors. The failures were disclosed four months after Lundbeck and Otsuka said both dosages of Idalopirdine in the earlier Phase III STARSHINE trial missed the study’s primary endpoint of reduced ADAS-cog total score when added to donepezil. How drug failed: Did not meet the primary endpoint of change-from-baseline in the Yale Global Tic Severity Scale at Week 8 in the Phase II T-Forward trial. The study assessed valbenazine in adults, with two once-daily fixed doses of valbenazine evaluated vs. placebo in a 1:1:1 randomization. The study evaluated 124 patients over eight weeks of dosing followed by two weeks off-drug. Neurocrine said the study also showed significant improvement in overall symptoms of Tourette syndrome. How drug failed: Did not meet its primary endpoint of leukemia-free survival (LFS) in the Phase II EffiKIR trial (IPH2102-201), designed to assess the candidate as a single-agent maintenance treatment in seniors whose AML was in first complete remission. The 150-patient EffiKIR trial found no statistically significant difference in LFS or other efficacy endpoints between the trial’s placebo arm and its two treatment arms—0.1 mg/kg q3months and 1 mg/kg q1month—the latter stopped in March 2015 by the trial’s data safety monitoring board. Lirilumab and related compounds blocking KIR receptors are licensed to BMS for all indications. How drug failed: Did not meet the primary endpoint of a statistically significant difference from placebo in the Phase III MEASURE trial. MDX did not demonstrate a statistically significant change from baseline as measured using the Conners’ Adult ADHD Rating Scales. How drug failed: Did not meet primary endpoint of statistically significant reduction compared with placebo in time to improvement in HE symptoms in the Phase IIb STOP-HE study, though company quickly added that OCR-002 showed a 17-hour reduction over placebo of 47 vs. 64 hours. How drug failed: Did not meet its primary endpoint of statistically significant improvement in the function and survival of ALS patients in the Phase II NOG112264 study compared with placebo, as measured by the joint rank scores for combined analysis of function and survival measured by the ALS Functional Rating Scale-Revised over 48-weeks. “Nogo-A does not seem to be an effective therapeutic target in ALS,” researchers concluded in The Lancet Neurology. Type of drug: Treatment is based on company’s proprietary rHuPH20, a recombinant human hyaluronidase enzyme that temporarily degrades hyaluronan (HA), a glycosaminoglycan or chain of natural sugars that accumulate around certain tumors. How drug failed: During a planned early futility analysis, the independent Data Monitoring Committee of the SWOG Phase Ib/II trial concluded, based on preliminary data, that adding PEGPH20 every two weeks to modified FOLFIRINOX was unlikely to show a statistically significant improvement in the primary endpoint of overall survival compared to modified FOLFIRINOX alone. Trial was designed to compare the combination of PEGPH20 plus modified FOLFIRINOX chemotherapy, versus modified FOLFIRINOX alone, in patients with previously untreated metastatic pancreatic cancer. How drug failed: The company disclosed February 21 that it halted Phase II trial upon recommendation of the study’s Data and Safety Monitoring Board, which concluded that lead product candidate Prophage G-200 would be unlikely to show better overall survival in combination with Roche/Genentech’s marketed cancer drug Avastin® (bevacizumab) than Avastin alone in patients with surgically resectable recurrent glioblastoma multiforme. 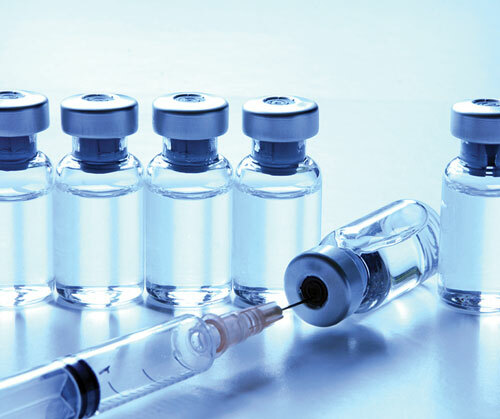 Type of drug: Individualized immunotherapy designed to work by capturing mutated and variant antigens specific to a patient’s tumor and inducing an immune response targeting that patient’s tumor antigens. How drug failed: Following a planned interim data review, the Independent Data Monitoring Committee for the Phase III ADAPT trial concluded that rocapuldencel-T was likely to fail in combination with Pfizer’s Sutent® (sunitinib malate) and standard-of-care for mRCC. How drug failed: Did not meet its primary endpoint of increasing overall survival in the Phase III SEAMLESS study, which compared a regimen of alternating cycles of sapacitabine and decitabine therapy with decitabine alone in AML patients aged 70 years and over who were not candidates for or refused intensive induction chemotherapy. Cyclacel said the sapacitabine regimen improved the complete remission rate, a secondary endpoint, and that a subgroup of patients demonstrating low baseline peripheral white blood cell count showed an overall survival increase. How drug failed: Following a planned interim analysis of the Phase II SOPRA trial, the study’s independent Data Safety Monitoring Board and the company concluded that selinexor would not show statistical significance for overall survival, the study’s primary endpoint. However, Karyopharm and the board agreed that patients who showed complete response following selinexor treatment could continue on the selinexor arm or the physician’s choice arm following discussion with their physicians, since those patients showed a greater OS benefit compared to physician’s choice. How drug failed: Did not meet its primary endpoints in the Phase III RELAX-AHF-2 trial of a reduction in cardiovascular death through day 180, or a reduction in worsening heart failure through day 5. RELAX-AHF-2 assessed the efficacy, safety, and tolerability of serelaxin when added to standard of care in patients with AHF. Launched in 2013, the study included 6,600 patients hospitalized for AHF. How drug failed: Did not meet its primary endpoint of improving overall survival in the Phase III METIV-HCC trial. The trial compared tivantinib to best supportive care in patients with MET-overexpressing, inoperable HCC intolerant to, or previously treated with, systemic therapy. A total of 340 patients with MET-overexpressing HCC were randomized in the trial’s intent-to-treat population. The following month, tivantinib did not meet its primary endpoint of progression-free survival (PFS) in the Phase III JET-HCC trial of tivantinib in Japan. Top-line results did not show a significant difference in PFS between the tivantinib group and the placebo group in JET-HCC, which enrolled approximately 190 Japanese patients with c-Met diagnostic-high inoperable HCC with a history of prior therapy with Bayer’s Nexavar® (sorafenib). How drug failed: Did not achieve primary endpoint of superior reduction in intraocular pressure (IOP) compared with placebo at all 12 time points in the Phase III MATrX-1 trial—Days 28, 42, and 84 and at four time points during each of these days: 8AM, 10AM, 12PM, and 4PM. The 8AM time point did not achieve statistical separation with any trabodenoson dose. However, the 6%/2000 mcg QD dose of trabodenoson was statistically superior to placebo at Days 84, 42, 14, and marginally superior at Day 28, where daily IOP reduction from diurnal baseline at three months was 4.25 mmHg compared to 2.38 mmHg for placebo, and 5.29 mmHg for the timolol 0.5% twice-daily control arm. How drug failed: Did not meet primary endpoint of in a Phase II clinical trial assessing combination of TRC105 and Roche/Genentech’s Avastinin® (bevacizumab) in recurrent GBM. Primary endpoint was three-month improvement in progression-free survival (PFS) from the expected value of 3.45 months with single agent Avastin. The combination did not improve median PFS vs. single agent Avastin in recurrent GBM patients, but was associated with a nonsignificant increase in OS. How drug failed: Did not meet the primary endpoint in Phase II study of reducing the frequency of total number of observable and absence seizures among patients Glut1 DS patients with seizures who were treated from baseline to Week 8 with UX007, compared to placebo. In a prespecified secondary analysis, 19 patients with absence seizures showed a 47.3% reduction in seizure frequency after eight weeks of treatment with UX007, compared to baseline. While clinically significant, the results did not meet the trial’s statistical significance threshold of 0.005. Ultragenyx has licensed rights to UX007 from Baylor Research Institute and UniQuest, the main commercialization company of The University of Queensland. How drug failed: Did not meet its primary endpoint in the Phase IIb SPIRITUS study evaluating the candidate in moderate-to-severe asthma patients with a rhinovirus infection. Vapendavir failed to show a statistically significant reduction in the asthma control questionnaire-6 at day 14, the primary endpoint, for either the 264 mg or 528 mg cohorts, compared to placebo. How drug failed: Company halted the pivotal Phase II/III EPOCH trial, on the recommendation of the study’s external data monitoring committee, which said that the trial had “virtually no chance of finding a positive clinical effect.” The placebo-controlled EPOCH study was investigating the efficacy of two doses of once-daily verubecestat, alongside standard of care in patients with mild-to-moderate Alzheimer’s disease. How drug failed: Did not meet its primary endpoint in a Phase II trial assessing the candidate in moderate-to-severe facial acne. XEN801 did not show a statistically significant difference from vehicle placebo in its primary endpoint of the percent change in total (inflammatory and noninflammatory) lesion count from baseline to week 12, Xenon said. XEN801 also did not demonstrate statistical significance against key secondary efficacy endpoints.